Why Tanzania? Here are only 12 reasons…. How many reasons do you need to visit Tanzania? There’s so much to do and see that it’s almost embarrassing. It’s home to the rooftop of Africa – majestic Mount Kilimanjaro – and has some of the best diving sites in the Indian Ocean. It’s a natural paradise for an incredible array of wildlife that lives their dramatic lives at the Serengeti and in the Ngorongoro Crater. And there’s cultural fusion and intriguing architecture of Zanzibar’s Stone Town. 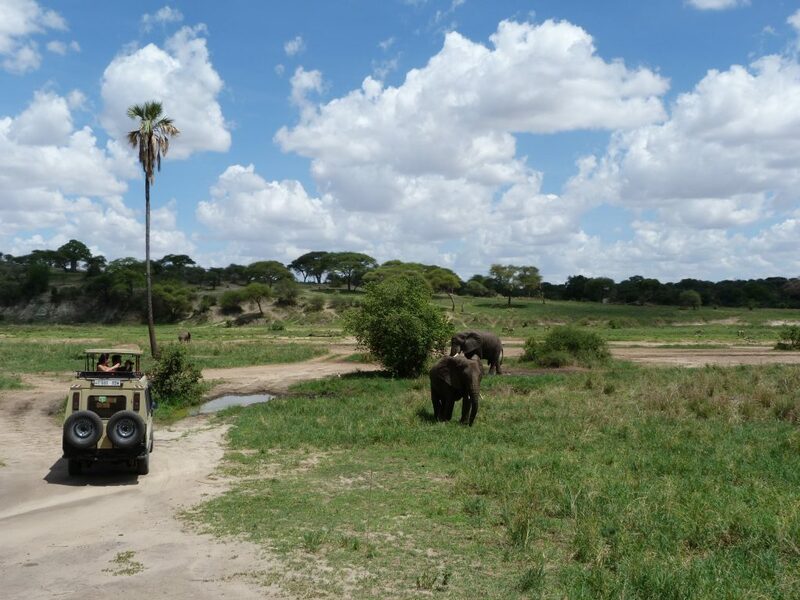 But what’s best about Tanzania is that you’ll have a vacation to remember, whatever your budget. 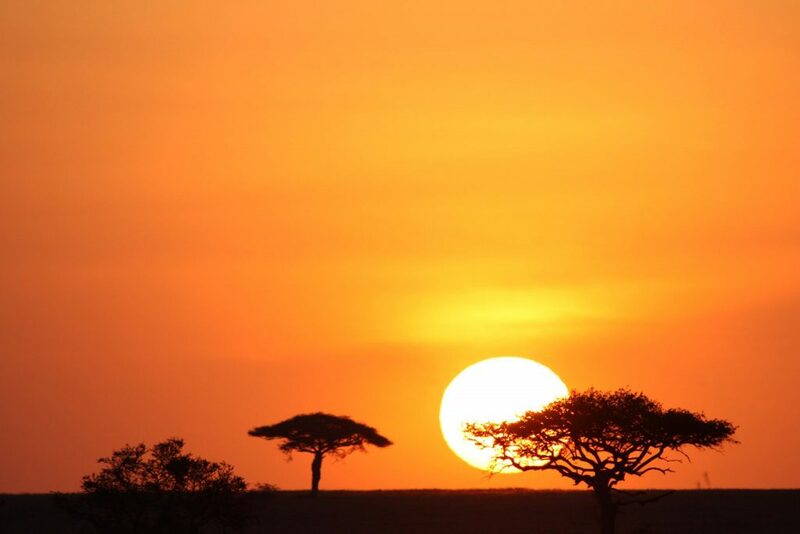 Did we tell you about the Serengeti sunsets? After a day of adventure in the green-and-golden grasslands of the Serengeti, there’s nothing better than grabbing a cold beer and watching as the sun paints a different landscape in the sky for you every evening. From azure and blue to pink and apricot, the sun colours in the sky with a palette of beautiful hues and etched silhouettes of acacia and feeding giraffes. It’ll bring out the artist in you. We should try to be more like Tanzania’s elephants. They’re intelligent, loyal, family-oriented and crazy beautiful.They do their awesome elephant thing to excess at Tanzania’s less-visited Tarangire National Park, home to the Tarangire Elephant Project. The Project is working hard to protect migration corridors for these magnificent animals, which are at risk of poaching. Lake Chala is for you if you love tranquillity, unique plants and a stunning array of birds. Oh, and if you like lakes that are a really weird but beautiful colour. Lake Chala is a crater lake fed by underwater springs of fresh water from Mount Kilimanjaro itself. Its colour turns naturally from deep blue to turquoise to emerald green. Dawn birdsong on Lake Chala is one of the seven natural wonders of our world. Babies. Lots of babies. Did we say babies? Tanzania is babytastic. Tanzania’s fertile landscape supports a massive tapestry of wildlife, and this, of course, means babies. Cuddly is everywhere (but try not to touch. Some babies bite). 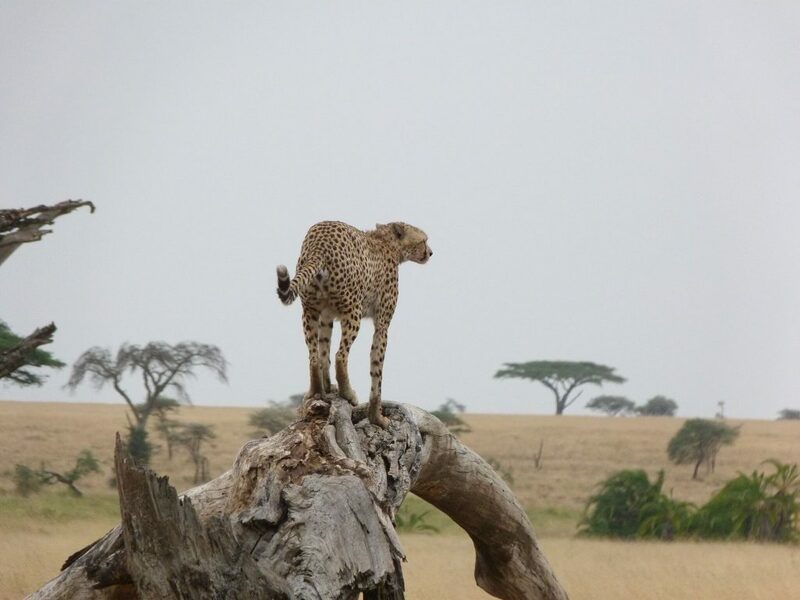 You’ll spot a blue-eyed leopard cub bouncing on her favourite branch, a leggy baby Serengeti wildebeest that has to grow up quickly to survive, a mischievous baby chimp eyeing your camera curiously in the Mahale Mountains, or (our favourite) a warthog piglet. Or should that be warthoglet? The Maasai are arguably the most famous of Tanzanian tribes but only one part of a rich tribal culture. Semi-nomadic, their multi-layered culture includes art, dance and body decoration. 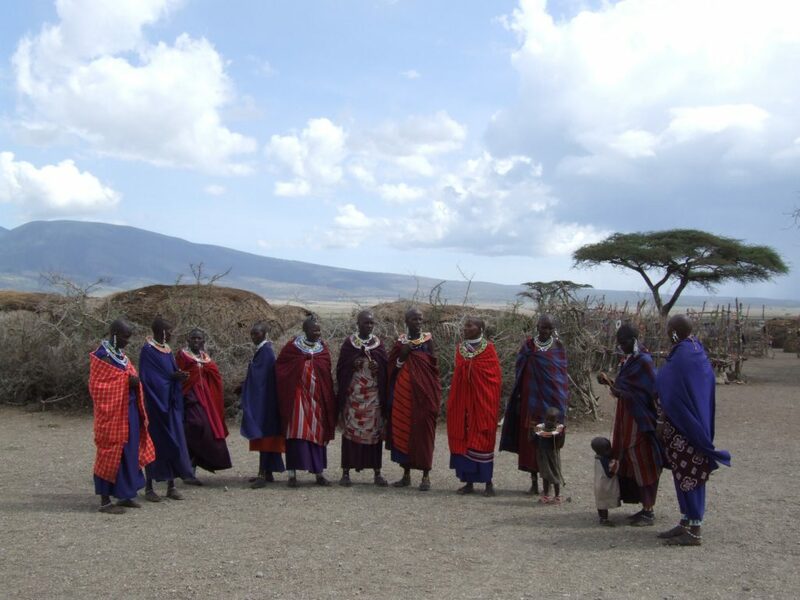 The Maasai are famously welcoming so go say hello. 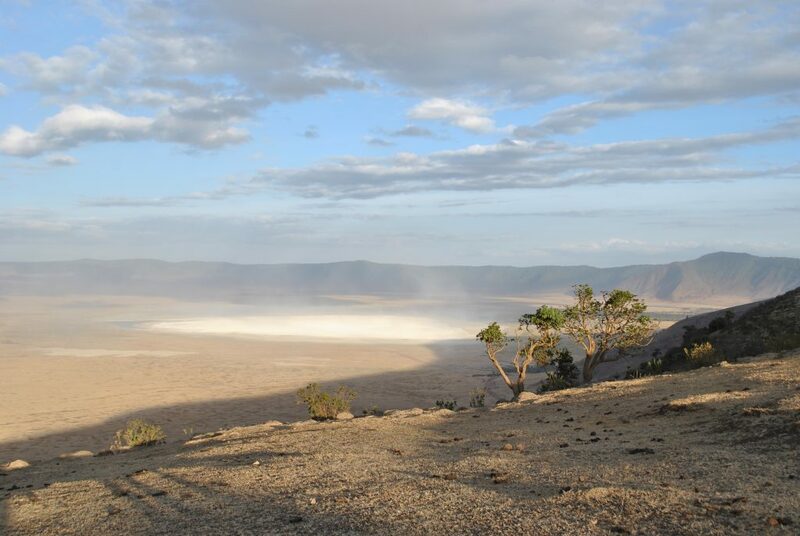 The Ngorongoro Crater is the largest unfilled, intact caldera in the world and its unique shape forms a natural enclosure that has helped to create one of the world’s richest wildlife landscapes. It’s home to the rare black rhino and the “don’t mess with me” Cape Buffalo and a myriad of other gorgeous species. Tanzania has a long, lazy east coast and dusting of breathtaking islands, including Zanzibar, the Spice Island, and Pemba, home to the world’s only underwater hotel. Tanzania’s beach life is as relaxing or as full-on as you like. There are hundreds of tropical beaches to laze on, and the snorkelling is mesmerising. Don’t forget to try your hand at kite-surfing or water-skiing. For a tranquil moonlight adventure, climb aboard a dhow – a traditionally-crafted wooden fishing boat – and let the friendly crew take you on an evening-into-night journey on the gleaming waters of the Indian Ocean. You don’t know what “peace” means until you’ve gazed up at the star-filled skies, the gentle creaking of the mast and plash of the waters the only sounds as you glide onwards. Mount Kilimanjaro is magnificent, terrifying, beautiful and awesome. And it’s accessible. You can climb it. It helps to be fit, it helps to have the stamina and it helps not to be a whinger because it’ll be one of the biggest physical and mental challenges of your life. 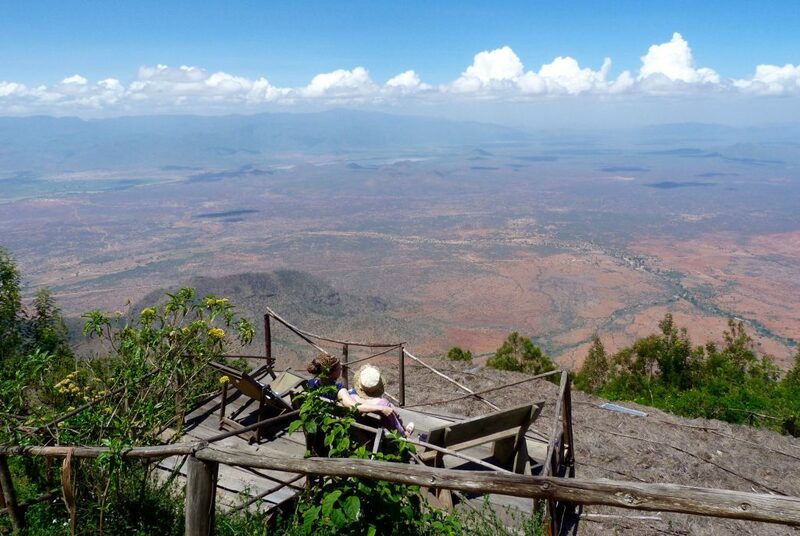 You’ll hike through four different climate terrains on your eight-day adventure to enjoy the stunning sunrise at Kibo, the summit. Shh! We’re trying to keep these beautiful mountains a secret because it doesn’t cost a fortune for a hiking adventure through these beautiful, wooded hills. There are plenty of comfortable, relaxed homesteads to welcome you on your hike and you’ll enjoy incredible views at Mtae, a charming clifftop village. Whichever way you turn, there’s something worthwhile to see. Whether it’s the majesty of Kilimanjaro, the broad golden sweep of the Serengeti, the turquoise waters of the Chemka Hot Springs, the soda lakes painted with the candy pink of thousands of flamingo, or the sparkling diamond sand of the beachfront, Tanzania is a feast for your senses but especially your eyes. With Viva Africa Tours you can choose to tour in small groups or independent private travel. 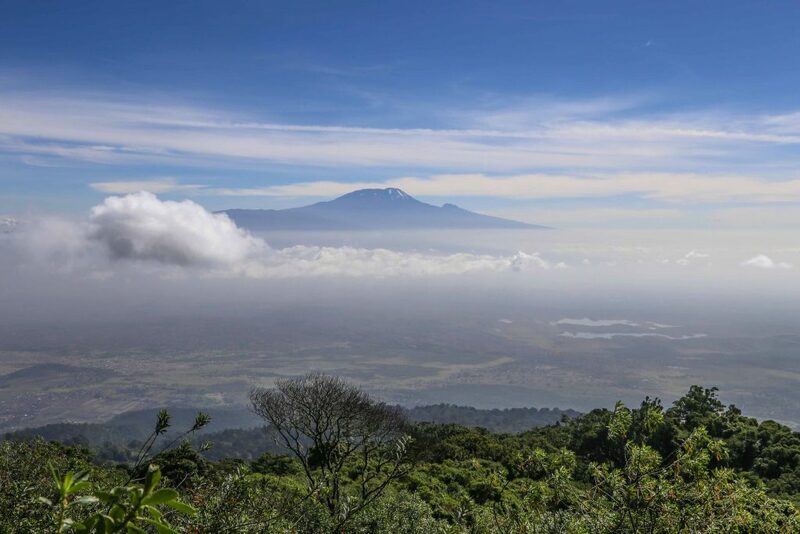 We’re based in Moshi on the slopes of Kilimanjaro, we’re a perfect centre for a tour of Kilimanjaro, but that’s only one adventure of many. Click here to continue reading this article!.